Fans of Big Fish, Peter Pan, and Roald Dahl will fall in love with Cassie Beasley’s dazzling debut, CIRCUS MIRANDUS, which celebrates the power of seeing magic in the world. And lucky for listeners, they will hear magic, as well, while running away with this circus, thanks to actor Bronson Pinchot’s ring-master-ful narration. Author Beasley shared her excitement for this casting news on Facebook, exclaiming, “I finally get to share some really cool info I’ve been sitting on for a while! The narrator is Bronson Pinchot, and he’s FANTASTIC! 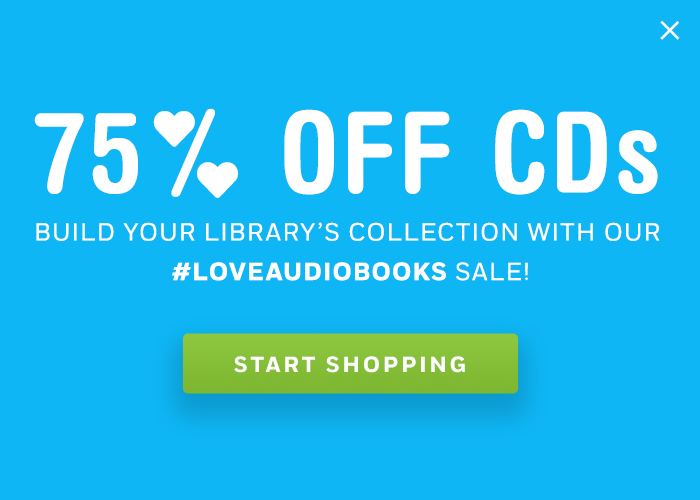 If you listen to audiobooks, you might have heard him read before, or if you’re more of a television junkie, you might know him as Balki from Perfect Strangers. But you should definitely know that he is phenomenal at what he does, and the audiobook is going to be sooooo good!” And indeed, the crowd has cheered in response. This special middle grade audiobook undoubtedly deserves a place under the big top of your library, so be sure to add it to your CD shelves when this circus comes to town! Click here to read more about this title. Here’s your ticket to our Circus Listens featured collection. 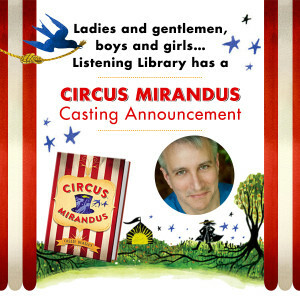 CIRCUS MIRANDUS Movie News! Variety shared the film rights announcement.